Yes, my dear, you read it right! I feel that what stresses us out the most is we ourselves. Why do you think that the situations would turn out to be simpler and easy to be solved when we will take stress? We are the ones who control our emotions, thoughts, our reactions to the situations, the problems that life throws at us. And you know what, all the situations and problems in our lives are powerless without our reactions. I feel that if we want to react to something, then we always should react in a positive, healthy manner. When we react the way in which the other person will also feel good, it will automatically make situations lighter, or say atleast seem lighter to us. Our minds will be more sane, we will feel more happy, full of positive energy, which will further give us the vision to sort things out for good, in life. On the other hand, reacting indifferently to the situations in a negative manner, would not just make situations worse, but also make you feel miserable about the way you reacted to the whole thing. It’s a natural human behaviour, when we react in a way we don’t want to or in a way that doesn’t define our personality, we feel a sense of guilt, and we tend to overthink, which further makes us feel uneasy even about the things that didn’t even happen. So, my dear, stop overthinking, stop stressing yourself over nothing, and infact just STOP STRESSING YOURSELF for good. Whatever has to happen, will eventually happen! Just keep it going, keep it easy, more lighter, more happier, more peaceful! Keep your mind at peace and think wisely. Is it something that will matter after around 5 years? If NO, then please Stop wasting your time and energy over something that is temporary in your life, that is not even going to matter after few years. Start working on that better future.We can only work on improving the situations, that’s our only job. Life is throwing problems as well as happiness at us, now it’s upto us how to deal with it. Take all the happiness but keep yourself grounded, delete the problems by keep fixing them all, and sometimes not reacting at all. That’s how we all learn, that’s what life is all about! Give away Love, Happiness and Peace! 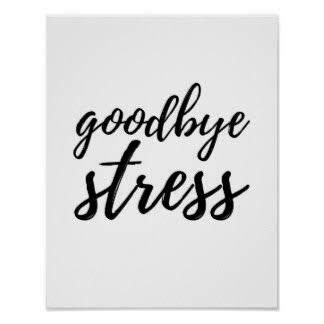 Thanks for your time for discussing Say Goodbye to Stress!! This is certainly one thing I am trying to find via the internet for a long time! Do you plan to mail some more to boot? I pay a visit daily some websites and information sites to read articles, except this weblog offers feature based content. that’s necessary online, somebody with somewhat originality. Lots of people more and more people are choosing Say Goodbye to Stress!. I don’t realize Say Goodbye to Stress! is always! Why do about everyone ears right now? How could counselling many people make a whole lot of time covering the item? Are you currently able help everyone find out more about?? Hi there to every body, it’s my first pay a quick visit of this webpage; this blog includes awesome and truly fine data in favor of readers. This page truly has all of the information I wanted about this subject and didn’t know who to ask. Hi there very cool weeb site!! Guy .. Beautiful ..
Amazing .. I will bookmark yoir web site and take the feeds also? regard, thanks ffor sharing. . . . . . This is a good written blog post! I love it very much. my part-time occupation. Due to this I made a decision to use penning websites. evaluations on numerous paper penning services. May I just say what a comfort to discover somebody who actually knows what they are discussing over the internet. they’re talking about online. You definitely know how to bring a problem to light and make it important. %BT% in this way. Thanks a lot! It was very exciting to read. Could you give some bits of advice about ways to cultivate writing talents? can suggest this guys Donte. They compose nice evaluations on the most popular academic writing organisations.